Squishy texture blobbing through fingers with a mystical doughy smell raising up told me that I was doing something important. I could create anything from this stuff! And the satisfaction I got from squashing and rolling this forgiving dough was immensely pleasurable. This was playdough to me and it was one of my favorite toys from childhood. And now it is one of my favorite things to share with kids and they sure do love it. At preschool playdough provides a quiet time for kids creating side by side and with a sense of comradery while sharing the playdough toys around the table. Playdough is great for parents too. I have found hours of time for me to get something done around the house while my little ones happily pound, roll, and squish the afternoon away. Tactile experiences help kids explore and make sense of the world; teaching them about cause and effect as well as developing small motor skills. There is something about squeezing a soft blob that releases stress just like those squishy stress balls made for adults. This is enormously helpful for a child who maybe experiencing overwhelming emotions that they don't know how to put into words. By adding something that smells or looks beautiful to the playdough you amplify the power of this classic toy. So the children and I use aromatic substances to color and scent playdough. And when the playdough is freshly made warm from the stove, the gentle heat further releases aromas from plants and essential oils. So nice. 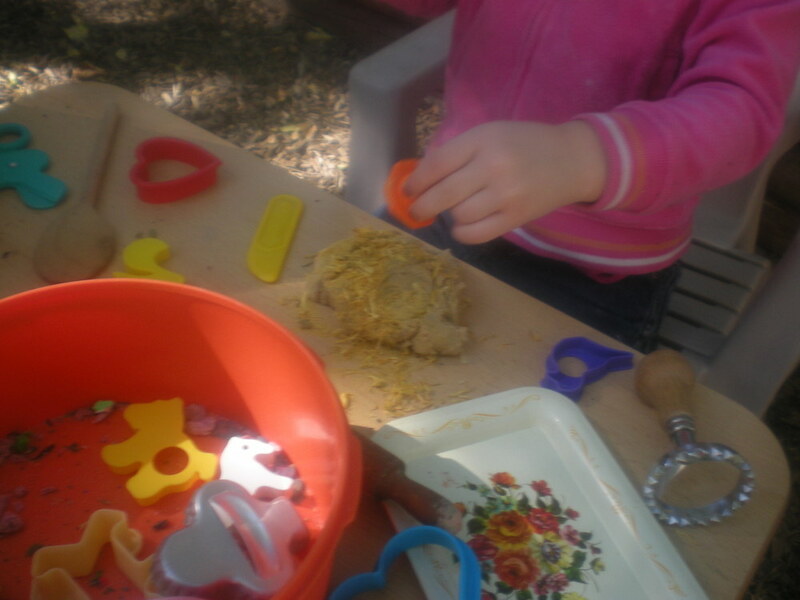 Lots Of Recipes & Activities For Playdough Fun! Playdough is made from a few basic ingredients you might have on hand now. Follow my basic recipe or look for another online, there are many to choose from. When coloring playdough with powdered plants you might find it works best to mix the colored powder in when you cook the playdough. Otherwise you can let the kids work it in while playing. For color: of course you can use food coloring but I like to use all natural materials when possible. You can use herbs that are already powdered or grind your own. My favorites for color so far are: beet powder (reddish pink), cinnamon (light brown), coco powder (dark brown), calendula (yellow) and parsley (green). Essential oils: my favorites are lavender, rosemary, orange, spearmint, rose geranium, cocoa absolute and cardamon. 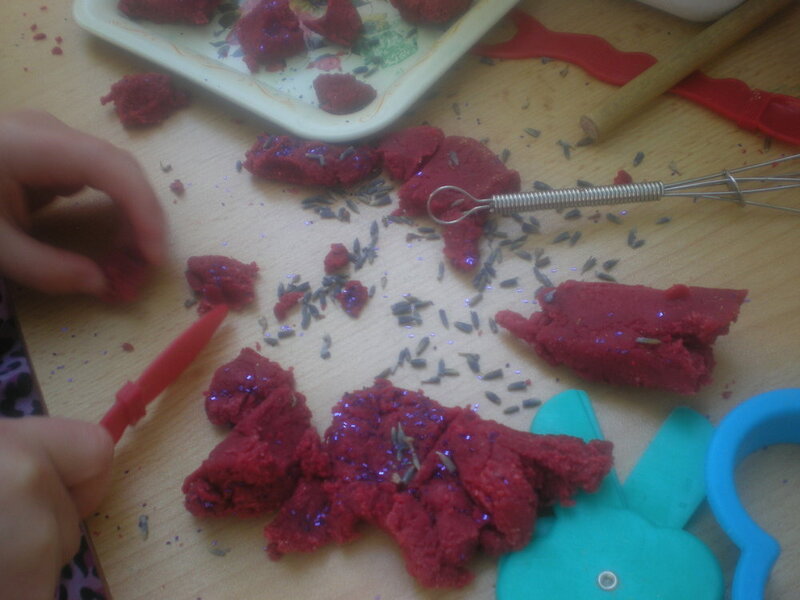 Have the child make a hole in the playdough. Then you place a drop or two of oil in the hole and take a moment to personally squish up the oil into the playdough so that the oil doesn't come into direct contact with the child's skin. It is safe once it diluted into the playdough. Dried Herbs: lavender blossoms, calendula petals, rose petals, as well as ground spices like cinnamon and cloves. Other Mix-ins: small amounts of glitter, food coloring if you want a more intense color than herbs can bring. Anything goes! Be creative! 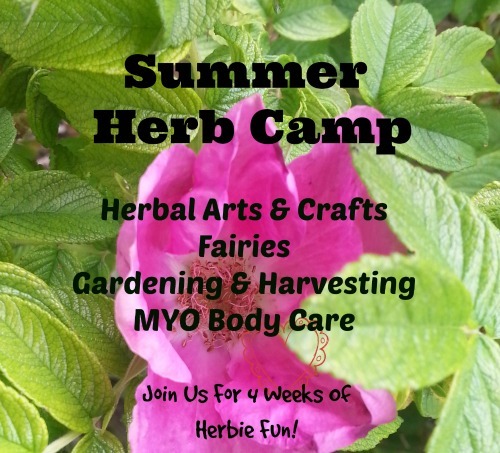 Please Note about essential oils: Essential oils are concentrated plant substances. They are dangerous and should not be used unsupervised around children. Always keep the oils up and out of reach when you aren't using them. Some oils smell like really yummy food, so please do be careful. Use mild oils like the ones listed above.